It’s June, which means summer break is fast approaching (or already here for some of you!). If you haven’t mapped out your entire summer yet, don’t panic! 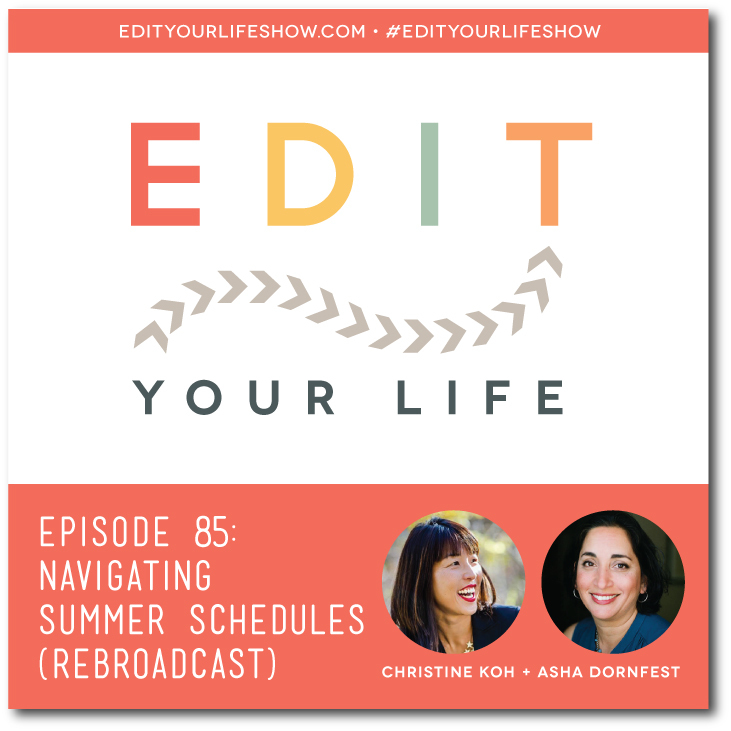 In Episode 85 of Edit Your Life, Christine and I rebroadcast 10 tips for navigating summer schedules and also provide an update on how our summers are shaping up (or, in Christine’s case, NOT shaping up) as well as a fresh round of Your Next Edits regarding summer schedules. What’s your best tip for simplifying summer scheduling? Join the discussion on the Edit Your Life Facebook page (look for the Question Of The Week post)!